The Thomas Cook Credit Card is issued by Barclaycard, the company that gave the British people their first credit cards back in the late sixties. Today, Barclaycard has branches all over the world and caters to the financial requirements of large as well as small companies and individuals. The Barclaycard Thomas Cook Credit Card is all about earning Travel Pounds. You can earn 1 Travel Pound whenever you use your Thomas Cook credit card to make purchases worth £100. In addition, the credit card comes with 0 percent on purchases during the first 3 months and 0 percent on all balance transfers during the first 9 months. Barclaycard has partnered with Thomas Cook to give credit card holders the best deals possible. You can redeem all the Travel Pounds you earned purchasing vacations at Going Places and Thomas Cook. One Travel Pound is equal to £1. Another attractive feature of this credit card is that you can purchase holiday money at 0 percent commission at either Going Places or Thomas Cook. This is treated as a purchase and not withdrawal, owing to which you can pay interest at standard rates, not at higher rates. Card holders, however, must note that Thomas Cook might withdraw its promotional offers any time. 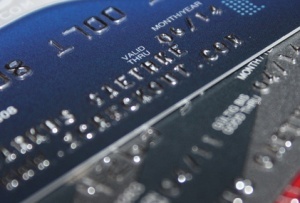 The credit card comes with an APR of 19.4 percent variable, a minimum credit limit of £250 and a maximum credit limit depending on applicant’s financial status. You can avoid all additional charges and lower the interest rate by sticking to your credit card limits and making payments in time. Thomas Cook has plenty of offers and as a Thomas Cook Credit Card holder, you can avail of all these offers and check for new ones on the Thomas Cook website. You can also visit the nearest Going Places or Thomas Cook outlet and ask if there are any new deals or you can call 0845 0700 246. Download Thomas Cook’s free mobile app to be an expert on foreign exchange. The app enables you to check exchange rates for more than 80 currencies, compare rates, view latest trends and much more. You can also join the Cruise Club for free and get expert information, access to top deals and exclusive offers. You can apply for a Barclaycard Thomas Cook Credit Card if you are a resident of the UK and are over 18 years of age. If you want to be rewarded whenever you buy something, the Thomas Cook credit card is just right for you. You will enhance your chances of getting a Thomas Cook credit card if you are employed, have an excellent credit history and have never gone bankrupt. You also should not have applied for a Thomas Cook credit card recently and gotten rejected. Once you get your Thomas Cook credit card, you can easily manage your account online for 24 hours. You can view account statements, check Travel Pounds balance, make payments and so on.